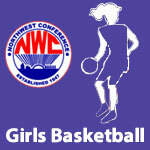 January 2014 – NWC-Sports.com | The Official Site of the Northwest Conference for nwc news, nwc scores and more. 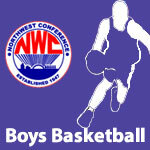 The 2014 Northwest Conference Wrestling Championships will be held for both the junior varsity and varsity levels this Saturday, February 1, 2014 at Allen East High School. The event will begin at 10 A.M. and proceed through the day until champions are crowned in all weight classes. Paulding is the defending NWC champ in wrestling edging out Spencerville by a 256.0 to 254 score last year. Paulding is the third school to hold the championship in the last 3 years with Delphos Jefferson taking the title in 2012 and Allen East in 2011. Media coverage of this event is welcome.